A dozen years ago….my uncle, Grant Speed, shared with me how to sculpt eyes. Today, I passed that knowledge on to another artist. “Tête-à-tête”, as the French would say. “Head to Head”. Softness…is the key. And don’t sculpt the eye. Sculpt vision. Sculpt planes. Sculpt shapes. 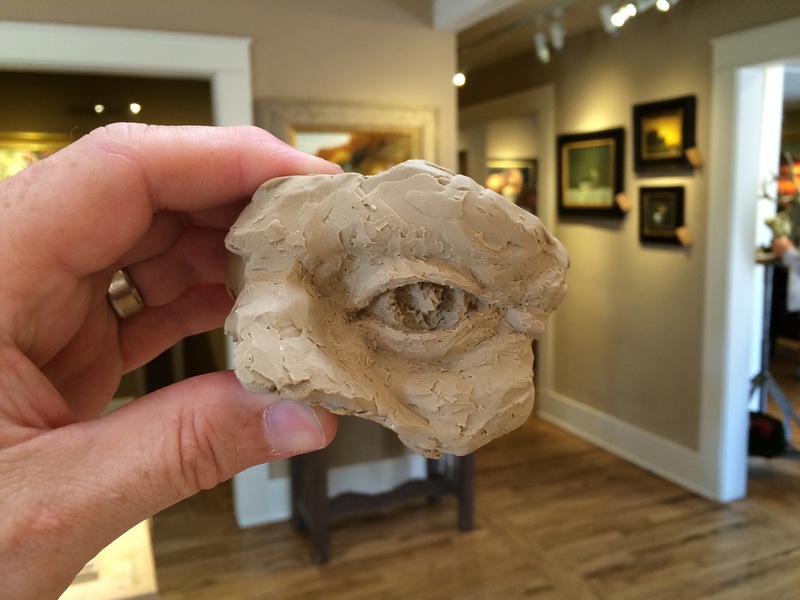 Sculpt your knowledge of the eye…..not what you think you see. And most important of all, sculpt feelings.